What would you do if you found yourself in a very different body tomorrow? Delicate will be an indoor theatre/circus production, exploring risk – personal, professional and political – and the inherent delicacy – seen or unseen – that underpins, and undulates beneath us all. 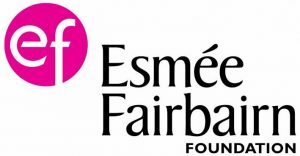 Understanding our own, and others delicacy is a prerequisite for the courage and compassion needed to find a more balanced and equitable world. 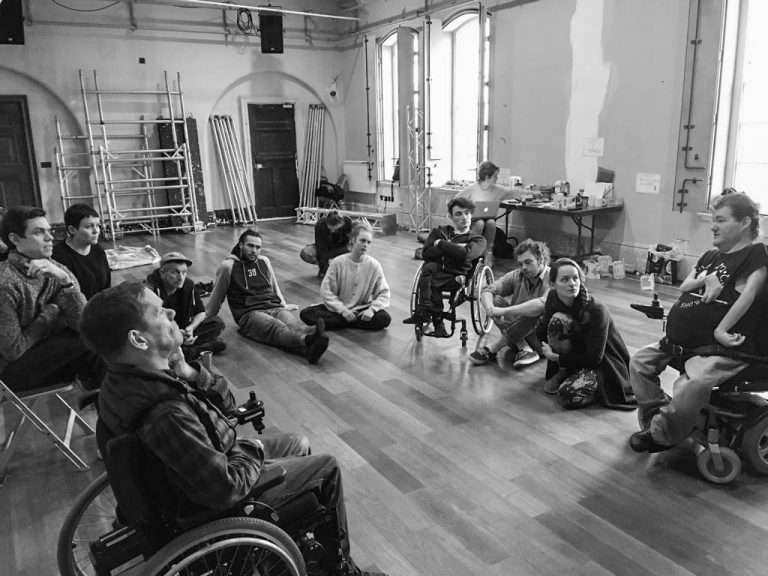 A collaboration with Jamie Beddard and Extraordinary Bodies artist Aislinn Mulligan, working with circus company Circumference and Bristol Old Vic’s Ferment Programme. 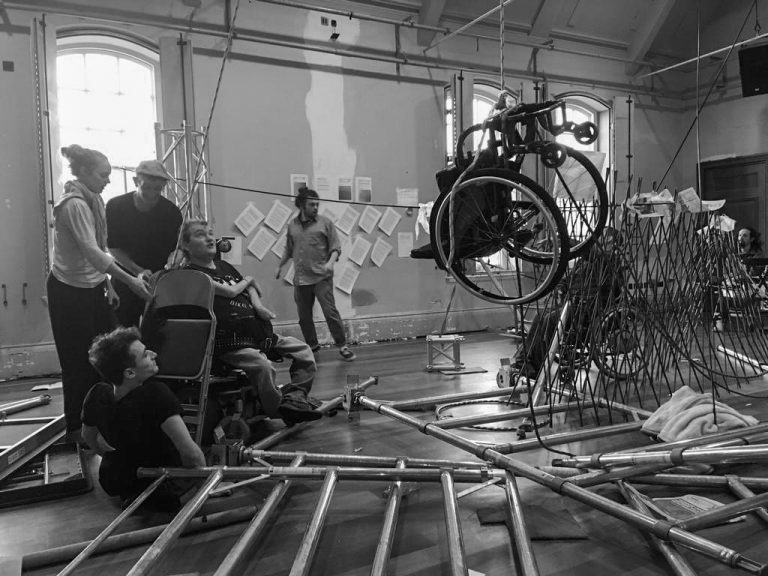 Together they explore a journey of ageing and disability through non-verbal storytelling and aerial circus. 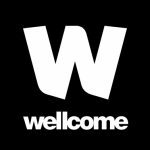 Following 6 months of interviews and academic research with archivists at The Wellcome Trust, we are now embarking on our first week of practical R&D on new show, Delicate. 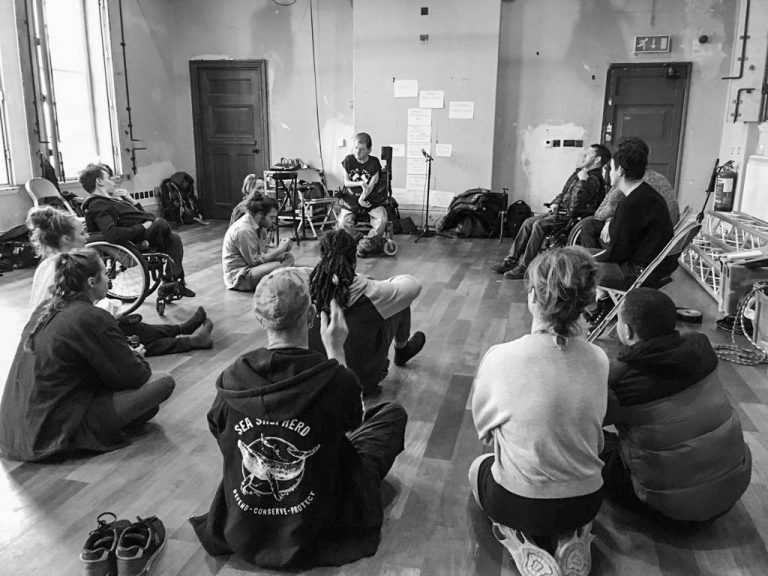 We’ve been working with a brilliant and diverse range of people, including sound and spoken word artists, circus performers, writer and actors, as well as a neuroscientist, an ethnographic research consultant and a creative rigger to explore what Delicate might be about. Monday took the form of a discussion day; on Tuesday we experimented with different sound and audio landscapes, thinking about how we might incorporate the testimonies we have been collecting into a music and sound-score for the show. 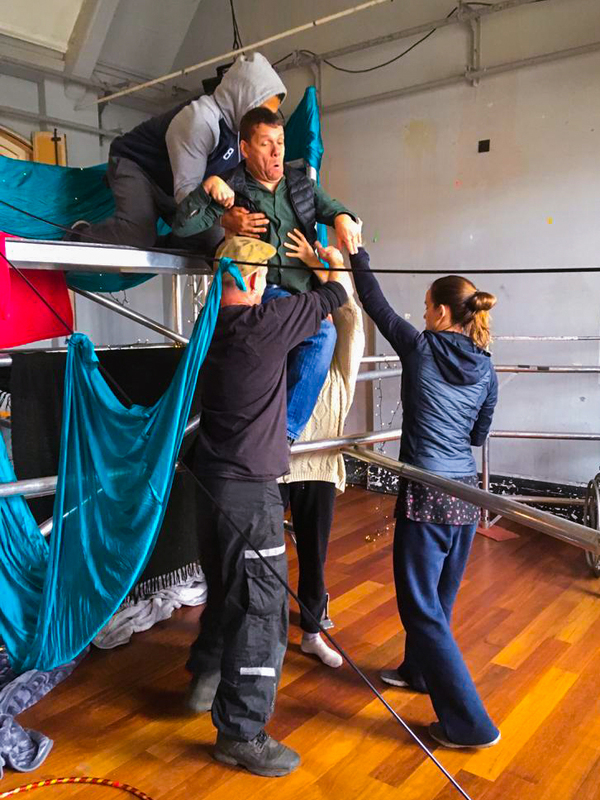 Today (Wednesday) we are working with a brilliant creative rigger who is helping us explore the different ways in which we might use a multitude of equipment in imaginative ways to create the physical world of the show – including truss, scaffolding, ratchet straps, ropes, poles, blankets and LED lights. Tomorrow we will continue to experiment with the different forms the show might eventually take, and on Friday we will share some of our ideas with an invited audience. We’re very lucky to have such a brilliant group of different minds and bodies in the room to give us a huge range of perspectives on the subject of delicacy, and very excited about what the show will become. 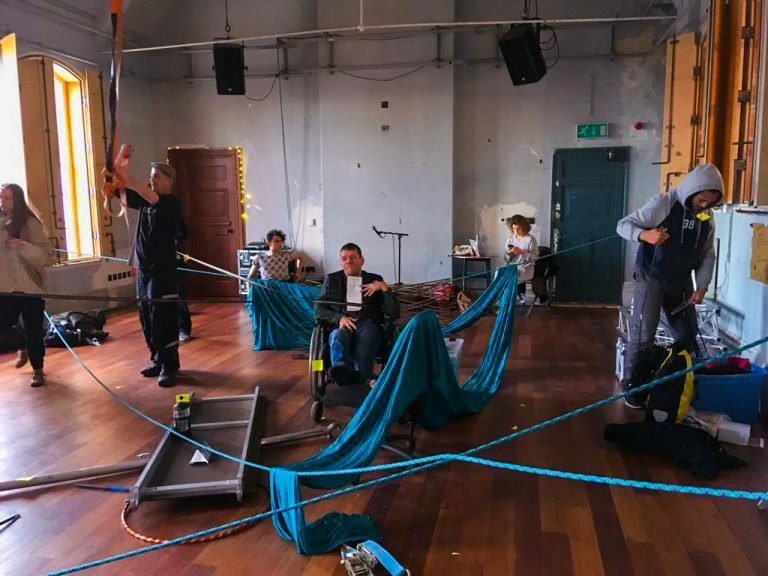 Images below show behind the scenes of the week at Battersea Arts Centre. Commissioned and supported by Unlimited, celebrating the work of disabled artists, with funding from Wellcome. Photography credits: Header – ©Richard Brown / ©Rachel Lambert. @Diverse City.